JAMMU, Feb 10: A showroom of tiles and sanitary products under the name and style of “Prabhu Tiles & Sanitary Ware” was opened today at main road Digiana, in Jammu. 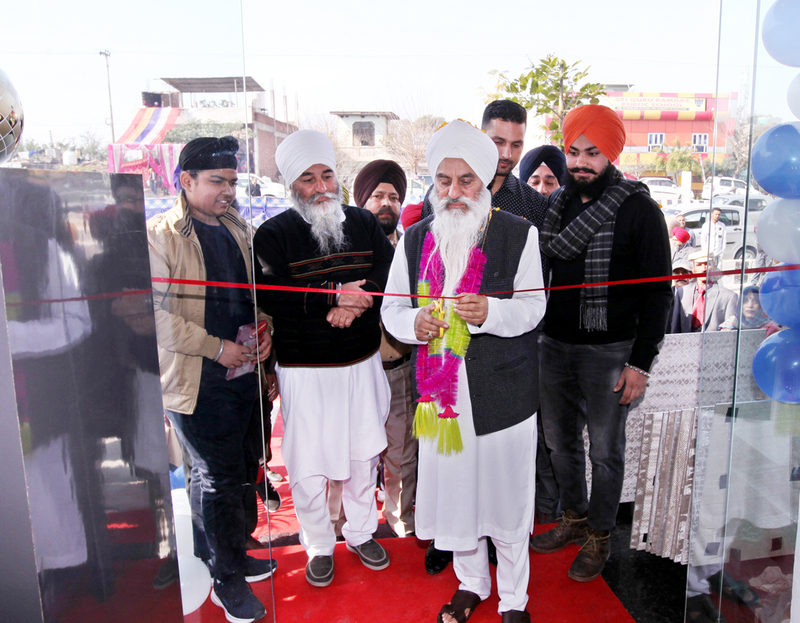 The showroom was inaugurated by Mahant Manjeet Singh Ji, who was the chief guest on the occasion. Former Minister and senior NPP leader, Harsh Dev Singh also graced the occasion. Also present on the occasion were family members and relatives of the Surjeet Singh Gill, owner of the showroom. Gill said that the store will give the local people access to the high-end quality tiles and sanitary ware and bath fittings products, at their door steps. Spread in an area of over 800 sq ft, the showroom has on offer a wide product range and also exhibits the choice in usage of tiles, sanitary ware and bath fittings through state-of-the-art displays.